Complete any look with our Tassel Saddle Bag! 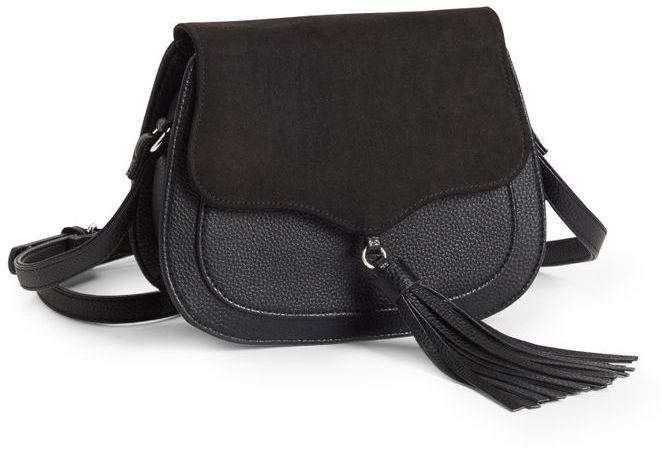 The exterior is crafted with pebbled faux leather and features a faux suede magnetic flap with a hanging tassel. The zippered compartment and small front pocket are perfect for stashing your essentials, while an adjustable strap lets you wear it on your shoulder or across your body. W 8.5" x H 6.75" x D 2.5"